Blog - TechOBrien: Is it a Dell, or is it LSI? Both! 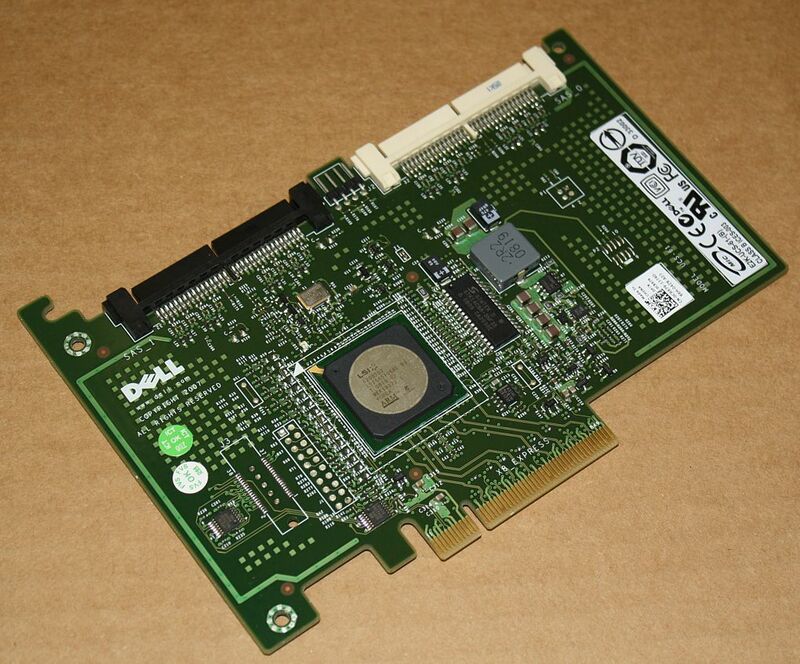 Last summer I picked up a couple of Dell SAS 6/ir PCIeX controller cards. Out of the box, these are capable of Raid 0/1 and have no on-board memory. What Dell tries to keep hush hush is that these cards are simply a re-branded LSI SAS3081E-R, capable of both raid and simple target mode. 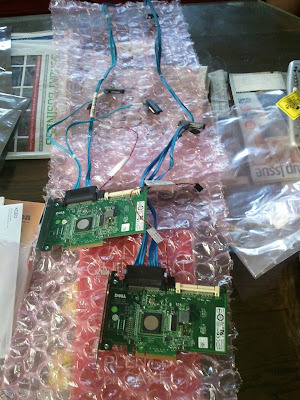 2x 8 channel SATA HBA's for less than $50? I think yes! 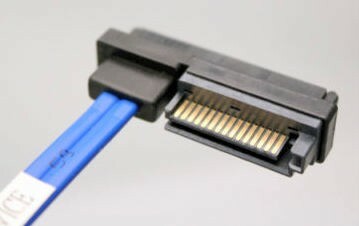 If I purchased new breakout cables, I would definitely go with both Right-angle SATA connectors and get rid of the power coupler. Unpack the files into a working directory. Look at the LSI 1068e chip itself to find out the revision of your board. All of mine have been B3, but again YMMV. You should find 6 firmware files after extracting. LSI's naming convention works as follows: The files are named 1068E, followed by T or R, followed by the revision B1 through B3. Copy the IR or IT mode firmware (whichever you need/want, or both!) with the proper chip revision over to the root of your DOS boot disk. I used a FreeDOS USB drive for this. In the SASflash_DOS_rel directory, you will find sasflash.exe. Copy this to the root of your DOS drive. Boot your system from the FreeDOS bootdisk. This may differ for various systems. Typically F12 will bring up a boot menu, however some older systems do not have this option and boot order must be set manually from the BIOS. (optional) Back up your existing Dell Firmware / BIOS. This shouldn't be nessicary, but as a precaution it's probably not a bad idea. Run the commands sasflash -ufirmware DellFirmware.fw to backup the firmware, and sasflash -ubios DellBIOS.rom to backup the BIOS. Run the command hbaflash.bat, follow the onscreen instructions, and good luck! I have been running two of these cards in my everyday file server, and have maxed out the throughput of my drives! (granted with 4 per card per PCIeX slot). They work excellent in Linux and Unix, and I have had zero problems since installation. One small gripe with these cards: They are NOT detected in FreeDOS and some other low-level utilities. This means you cannot use WDTLER or WDIDLE utilities on FreeDOS to edit Western Digital hard drives. For this type of work I need to switch back to the good old Intel ICH10 controller that is on my motherboard. Another thing I learned recently is that they cannot handle drives larger than 2TB. I use 2 TB drives in my Raid6 array, so I have no issue. If you foresee yourself using 3TB or 4TB drives down the road, this card is not for you. Here are my two cards, flashed and ready to go! Could you please post URL from where you got latest firmware. I've done this on two cards and neither will let me setup RAID. The RAID field is greyed out. Did you have any experience with this? Did you flash with the RAID firmware as opposed to the target-mode firmware? If you want to use the onboard Raid 0/1/10 you should be using the IR version and not the IT version.